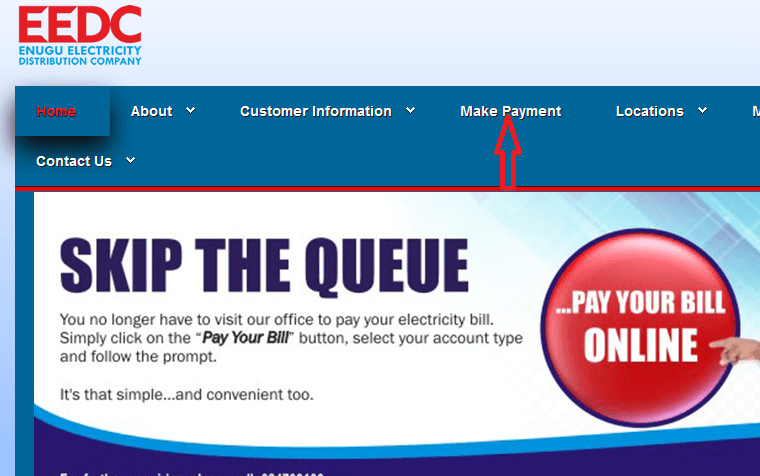 To recharge EEDC prepaid meter online is very simple and easy. Below are steps to generate PHCN EEDC prepaid meter token online and get recharge credit units on your meter to avoid interruption in your power supply. 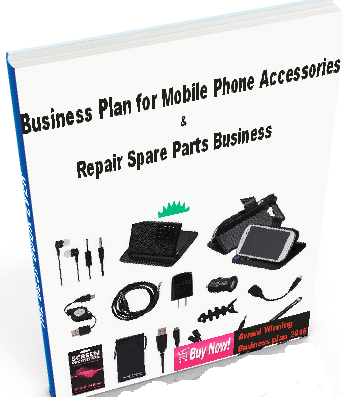 Connect your Mobile phone or laptop or any other internet enabled device to the internet (Phones are best used). 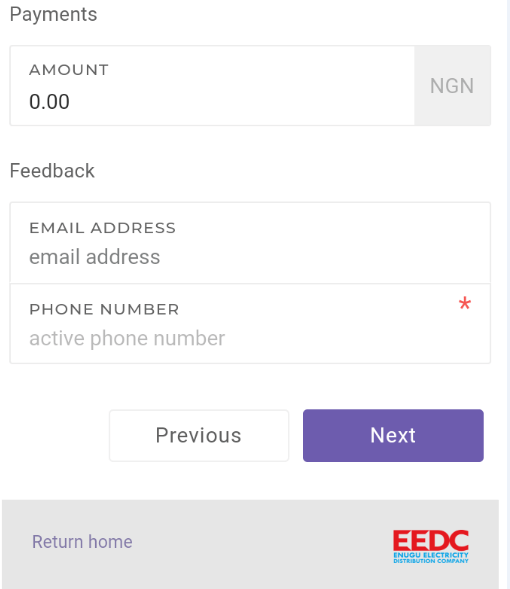 Log onto EEDC website; enugudisco.com and click on Make Payment on the top right-hand side of the page as shown below . You’ll redirected to https://energypay.myeedc.com/ . Enter the amount to recharge, your email address and phone number and click on “next” on the page displayed as shown below . 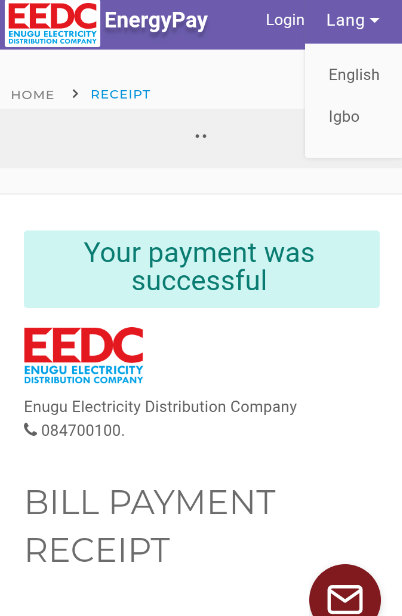 Next page displayed will be You are about to make payment to Enugu Electricity Distribution Company, being payment for Energy usage. 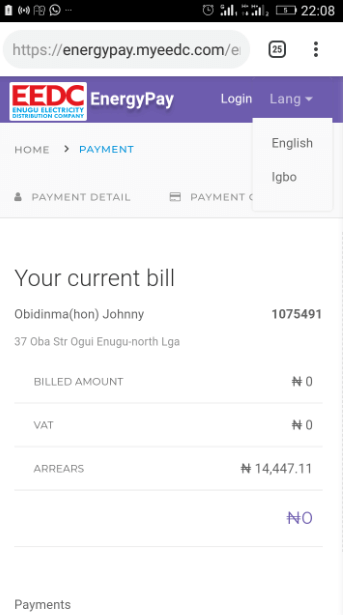 Confirm your EED Account detail again and the amount you’re about amount to recharge as shown below; click next. 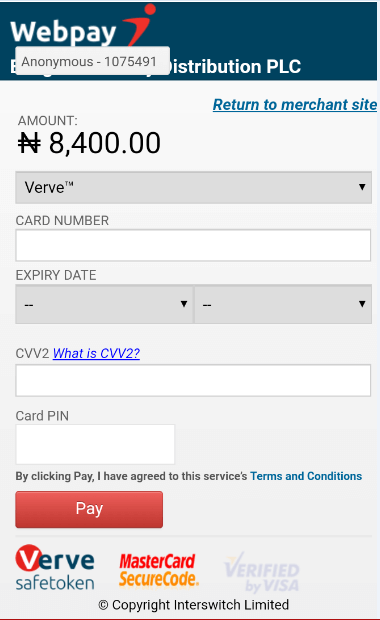 Next , enter your bank debit card details and click on “Pay” as shown below. One Time Password (OTP) will be sent from your bank to your phone or email to confirm the transaction. 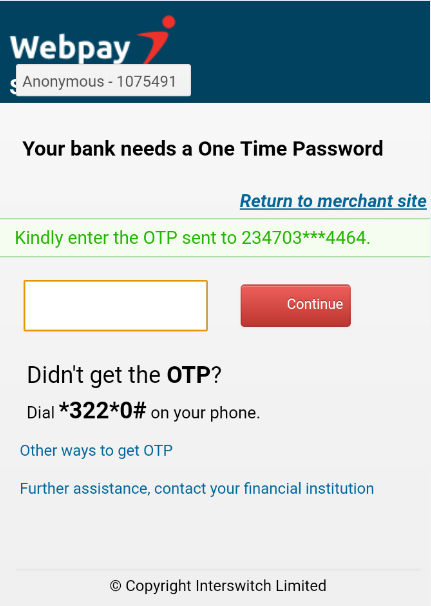 Enter the OTP sent to your phone number or email address for transaction confirmation and click continue as show below. Finally, a successful payment page will be displayed. You’ll receive a confirming e-mail or a text message or both, if your transaction is successful. The meter token will be emailed to your email address and/or phone number. Load the toke on your prepaid meter. Once, you hit “enter” button, you’re done! 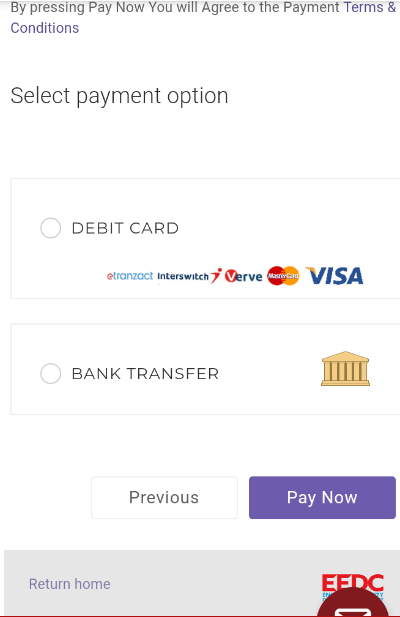 Next, one-time password, OTP (security code) will be sent to your phone; enter the OTP to confirm payment. Hit “enter” button and you’re done! 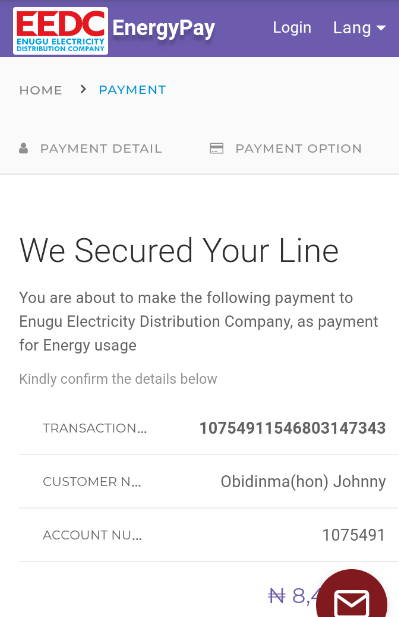 Paying for your prepaid meter online recharge normally takes less than 5 minutes, and logically, this is the more convenient option for paying for PHCN (NEPA) and it is stress-free. It is definitely more convenient than going out to buy prepaid meter token at their office or banks. Once you have your PIN code, you can go ahead and load it into your Electronic energy prepayment unit (prepaid meter). Note: for the newest EEDC prepaid meters, you need to plug the monitor unit on power source before you will be able to load the PIN code or token. So, do ensure you don’t let your energy finish before you think of recharge the meter. Other PHCN Electricity distribution companies such ibedc, aedc, ikedc, phed, Ekedc prepaid meter etc can be recharge online via quickteller.